What does your dream garage look like? Garages can be more than just a place to park your car. In fact, they can serve as an expansion of your house! Garages across the country are being made over, anything from utilizing neat storage ideas to having a personal gym in the garage! 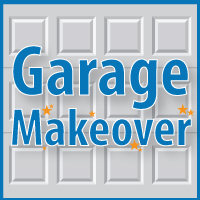 Below are 3 before and after pictures of extraordinary garage makeovers from the Garage Mahal team of the DIY Network. This garage goes from disorganized clutter, to home gym! This everyday garage gets transformed into a band’s space complete with a foldout stage! A junk-filled garage gets transformed into the ultimate game room and gets an organization overhaul with new shelving units.